The Alaskan Malamute is a large domestic dog originally bred to haul heavy freight and later as a sled dog. 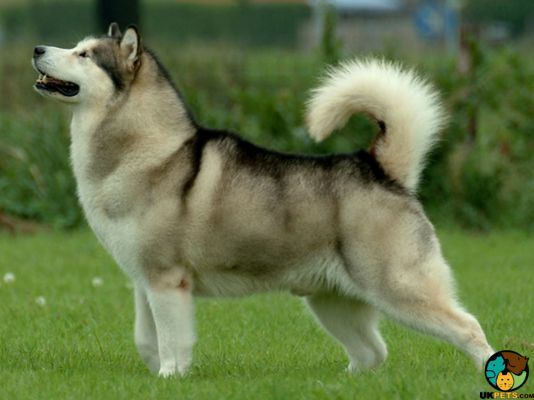 They thrive in cold climate similar to other arctic dog breeds such as the Samoyed and Siberian Husky among the many. It is a strong and fearless dog, also considered the oldest breed that has not been altered. The Alaskan Malamute has a double coat consisting of a coarse outer coat and a thick, oily and woolly undercoat. This dog breed needs to work, or it becomes bored rather quickly. It has a lifespan of 12 to 15 years. The Alaskan Malamute originated from the ancient Mahlemut tribes of Alaska who used the breed during their hunting expeditions. It helped in catching seals and dragged heavy sleds across the tundra. Although various breeds were mixed to develop many types of sled dogs, the Mahlemut tribe preserved its original breed. This has something to with their remote location. 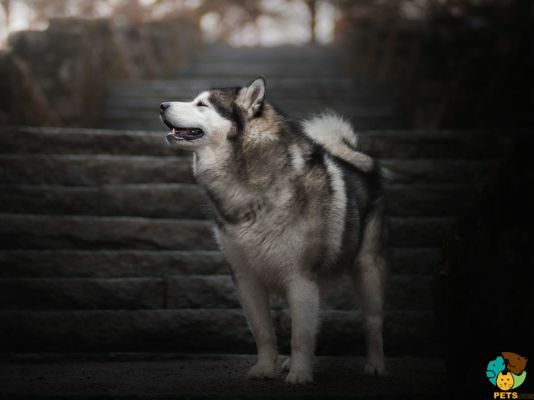 The American Kennel club officially recognised the Alaskan Malamute in 1935. The breed reached the UK in 1959 and has become the largest breed of sled dogs recognised by the Kennel Club. The Malamute is a powerful, heavily-boned dog. It has a broad head proportionate to its body with brown almond-shaped eyes and triangular ears. Males should be around 65 centimetres tall at the withers and weigh 85 pounds. Females should be about 58 centimetres and 75 pounds. The breed has a double coat: thick, coarse outer guard coat longer at the withers, and a dense, woolly undercoat. The standard colours range from light grey through shades of black. Another variety is from gold through shadings of red to liver. Its underbody, feet, legs, and masks always have white markings. The Malamute is generally a clean dog so bathing can be done a few times per year. Frequent bathing can strip off natural oils and make the coat very dry and dull. However, it requires daily brushing to maintain its beautiful coat and prevent mats. This breed is a heavy shedder and its hair falls in large lumps. The Alaskan Malamute, like any dog breed, requires regular basic grooming if you want to keep this dog happy. It doesn’t have any particular needs but other grooming regimens must not be ignored. Brush the Malamute’s teeth twice or thrice a week to prevent potential gum disease. The nails must be trimmed if it becomes too long. Check the ears for any signs of infection such as redness or bad odour. 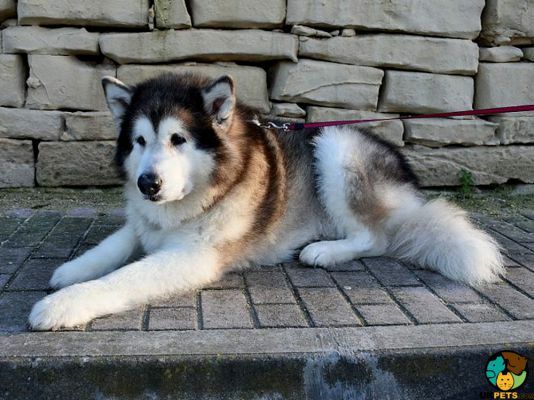 Examining the Malamute during grooming can help you detect any signs of abnormality early on. The Malamute is intelligent, playful, friendly, and hardworking. It rarely barks and interacts very well with humans. While this breed can be a good family dog, it is not advisable for first-time pet owners. Since it is stubborn, training can be hard if the handler is inexperienced with pet behaviour. In addition, it can challenge to be the alpha in the family. Everyone at home needs to establish they have higher roles than this canine. The breed is patient and loving towards young kids but can get too energetic and knock them over. This is why children must be taught how to properly approach this breed and interactions should always be supervised. Like every dog, Alaskan Malamutes require early training and socialisation. Regardless of its breed’s predisposed temperament, its personality will largely be influenced by its experiences when young. A typical serving for an adult Alaskan Malamute is 4 to 5 cups of excellent quality dry dog food per day. Use this as a guide but the amount of food depends on its age, size, build, activity level, and metabolism. Always do your research regarding the breed you are getting and ask your veterinarian in terms of your pet’s nutritional needs. 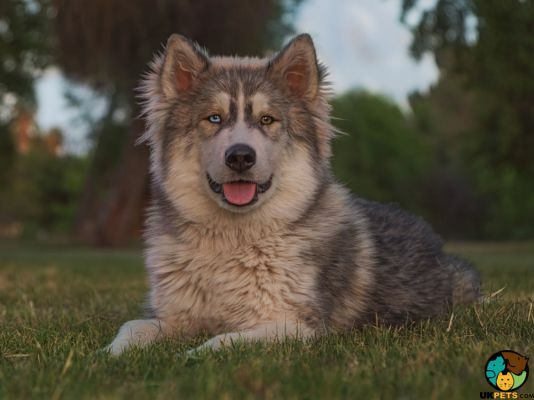 Since Malamutes were bred as working dogs, they require more protein and less carbohydrates to support their energy needs. Protein can provide them with essential nutrients for building their muscles. High-quality dry kibbles containing beef, lamb and fish are often suggested for this breed. Fat is important since it is a good source of energy, essential for vitamin absorption and maintains a glossy coat. Also make sure you take care of your Malamute’s joints as it is prone to Hip Dsyplasia. 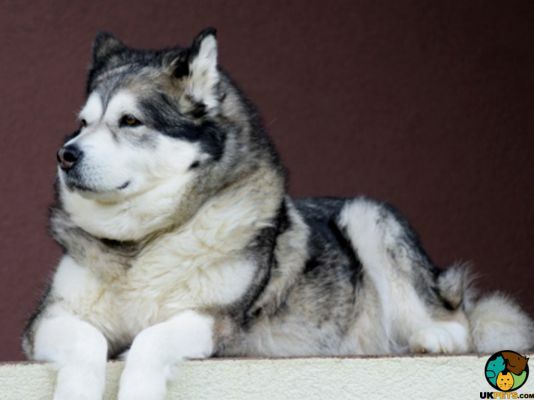 Alaskan Malamutes are generally healthy but are predisposed to certain health conditions. You need to be wary of Hip Dysplasia, Chondrodysplasia, Hemeralopia (day blindness), Inherited Polyneuropathy, Hypothyroidism, and cataracts. As working dogs, they need plenty of exercise. They thrive on walks, tasks and play time. They can be good running and hiking companions. They also love digging so it is best to give them an area where they can freely dig. Insufficient exercise can cause them to become bored and destructive. Avoid walking them in extremely hot weather. The cost of owning a dog is more than just the cost of food. It is important that one should take the time to budget before making a decision. 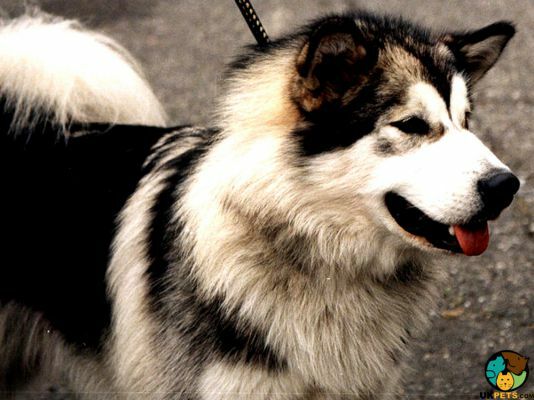 The cost of owning an Alaskan Malamute can be estimated at £27,300 - £30,800 over its lifetime. One of the major expenses will be dog supplies. These include dog food, leashes, collars, beds, toys, and so on. You also need to enrol it to an obedience class. When the time comes that the Malamute need to be spayed or neutered, expect to spend anywhere from £65 - £70. It is crucial to feed your dog high-quality dog food and healthy dog treats, which typically costs somewhere from £40 - £60. Food expenses vary depending on the size and energy level of the dog. Routine veterinary care is another expense if you want to keep your dog healthy,s which can cost around £800 annually. 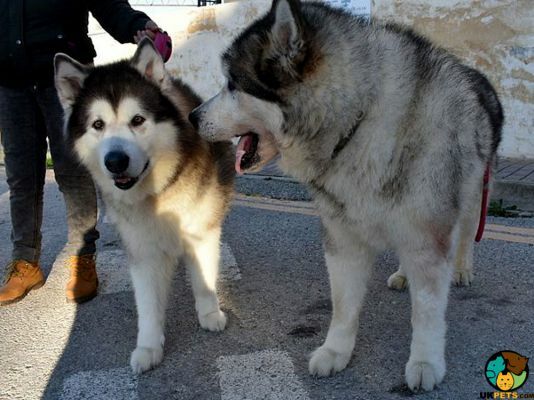 Alaskan Malamutes are fun-loving dogs generally great around children. They are highly intelligent and easy to train. The breed is ideal for people who are outdoorsy. Excessive shedding might be a problem especially during spring and autumn. It can be stubborn and strong-willed.